Marissa Farrar: 'Buried' is now Available to Buy! 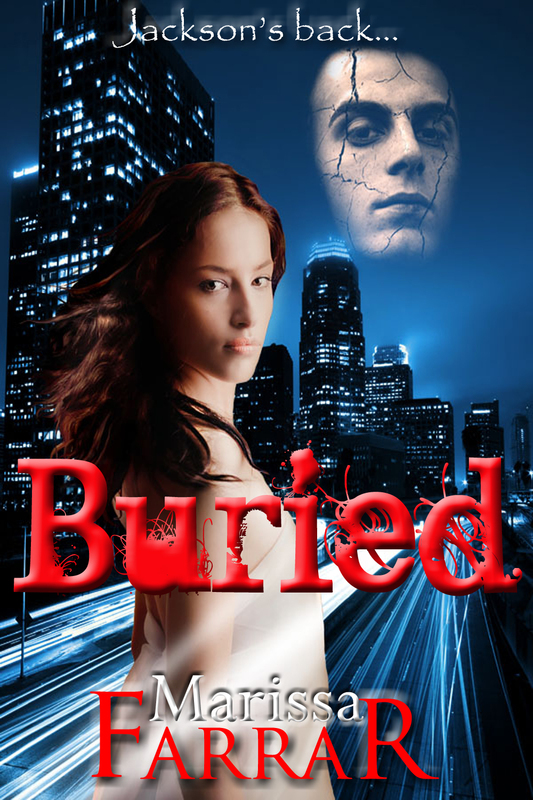 'Buried' is now Available to Buy! I'm thrilled to announce that the sequel to 'Alone' (or the second book in the 'Serenity' series), 'Buried', is now available to buy from Amazon! I'm offering the book at an introductory friendship price of $0.99 for the first two weeks so everyone out there who has already read 'Alone' and has helped me by blogging, reviewing, or simply mentioning the book to their friends, can pick up a copy ultra-cheap. Of course, if you haven't read Alone and would like to, that book is also priced at $0.99 to introduce new readers to the series. Just click here for the link! I'm also really pleased to say that Alone has now sold about 340 copies so far this month which means I will be proud of my donation to the charity, 'Refuge'! (I'm donating 25% of the revenue from sales). The novel has been in the top 100 best seller list for contemporary fantasy on Amazon and I'm hoping it will stay there! Here's the blurb to Buried. Four years after the horrific murder of her husband, Serenity is living a new life and finally putting the terrifying events behind her. Though now a stronger person, her heart craves the vampire who gave her the strength to change her life. Desperate to forget Serenity, Sebastian hides away in the underground tunnels of Goreme, Turkey, and has thrown himself into an existence of darkness and blood. But rumours are abound of something unnatural existing, something with the strength of a vampire but can walk in the light. I hope you'll get reading! For those who are interested, I'm working on the third in the series, 'Captured', which I hope to have out early 2012! I've got it on my Kindle now. Thanks again, M.
Thanks Jimmy! Hope you enjoy it. Please let me know what you think! Another "must" read from a great writer! You deserve every bit of the respect your peers and readers have for you. Super comment from Blaze.......completely true. Head on Over to Something Wicked!